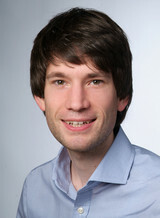 Janosch Prinz holds a PhD in Political Theory from the University of Sheffield, UK (2015), and a Magister Artium in Political Science (Major) from the University of Bonn, Germany (2010). He currently serves as a Temporary Lecturer at the Queen’s University Belfast. He has previously taught at the University of Sheffield and worked at the Center for Development Research, University of Bonn. In February 2017, he will join the University of East Anglia as a Leverhulme Early Career Fellow to embark on a research project on ordinary people’s understanding of political legitimacy.